Looking for the perfect pair of running shoes, but overwhelmed by all the options and unsure of the best fit for YOU? 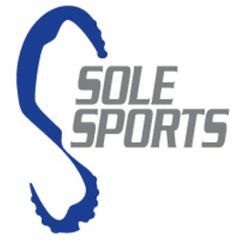 Look no further than Sole Sports, where the friendly and knowledgeable staff are committed to helping you find just the right shoe based on your running gait, budget, and favorite color. Sole Sports cares just as much about its community as your personal running goals. 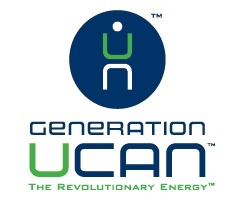 The company warmly opens its doors to local running groups for seminars and special support. They also contribute to local events and nonprofits by donating their money, merchandise, personal time, and expertise. A favorite example: Sole Sports was instrumental in the success of Chances for Children, a local nonprofit that has provided fitness training and nutritional programs to over 4,000 underprivileged youths over the last six years. Whether you are striving to achieve a healthy, active lifestyle or hoping to remedy an injury, chiropractic care will help you achieve optimal well-being. Dr. Michael Akerson has been practicing in the Phoenix area for over 10 years. Using the most modern and effective techniques–such as Kinesio Taping, Active Release, and Graston–he treats many different injuries and conditions. Dr. Akerson was instrumental in my success running through 4 USA Master Championships and 3 USA Olympic Trials and, for the past 14 years, he has helped me to keep on running and keep on believing! Cross-training is vital to staying strong and healthy. Whether you are recovering from an injury or simply looking to mix up your exercise routine, the ElliptiGO is a great piece of equipment that replicates outdoor running without the impact. When my injured hamstring hindered my training for the 2012 USA Olympic Trials, I began using the ElliptiGO. I trained on the fun elliptical bicycle for the 3 months leading up to the Trials to maintain my fitness and compete in my 3rd Olympic Trials! Are you looking for running apparel created by runners, for runners? Rabbit has perfected the running short, top, and race kit, taking into consideration the things that matter to athletes–fit, functionality, sustainability, and fashion. Rabbit is committed to community engagement and sets themselves apart by supporting not only elite athletes, but also everyday runners, running teams like BTB, and the entire running community. You mentioned that you went to Dr. Tallman in Scottsdale for prolotherapy. I am strongly considering going there as well. Could you please email me? Thank you so much. I would greatly appreciate it.